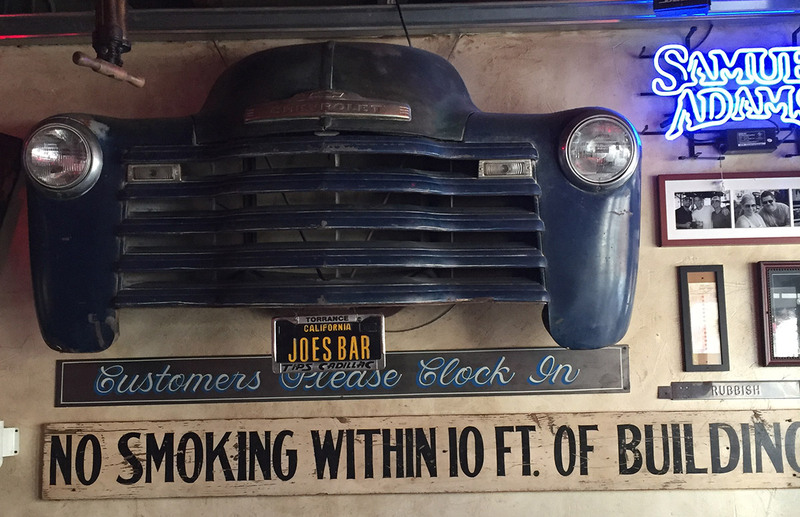 Enjoy our unique menu that only Joe’s has to offer. 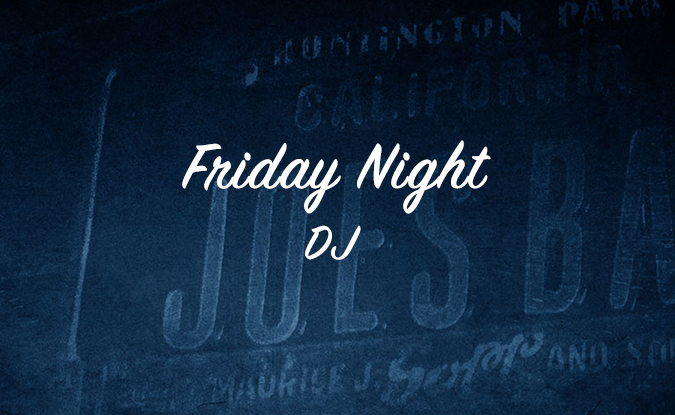 From grilled mahi mahi to delicious flatbread pizzas, Joe’s has something for everyone! Experience our wide variety of gourmet sausages! Sip on a wide variety of cold, draft beer or enjoy one of our delicious cocktails that’s sure to brighten up your. 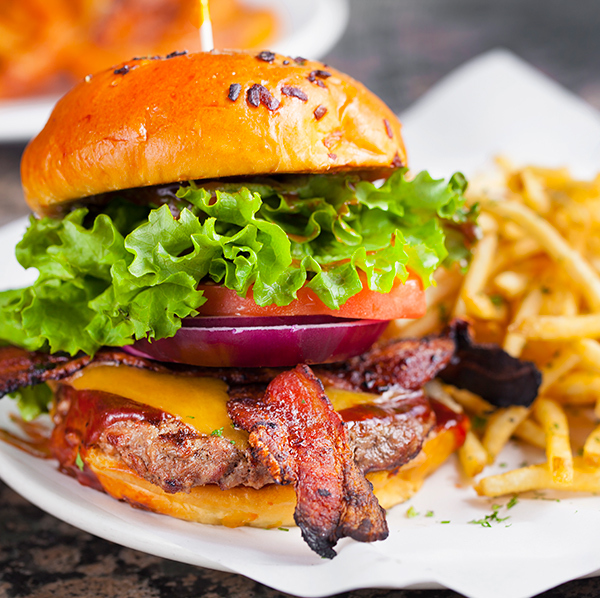 Need a kick start? 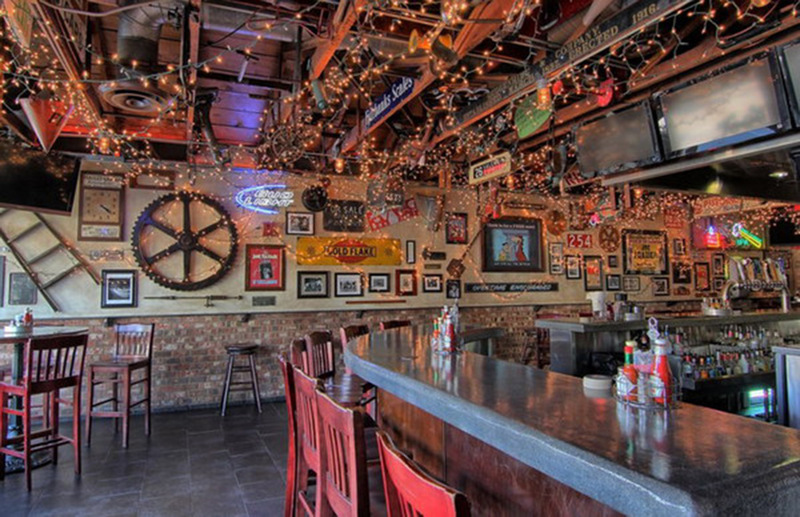 Try one of our tasty shots! 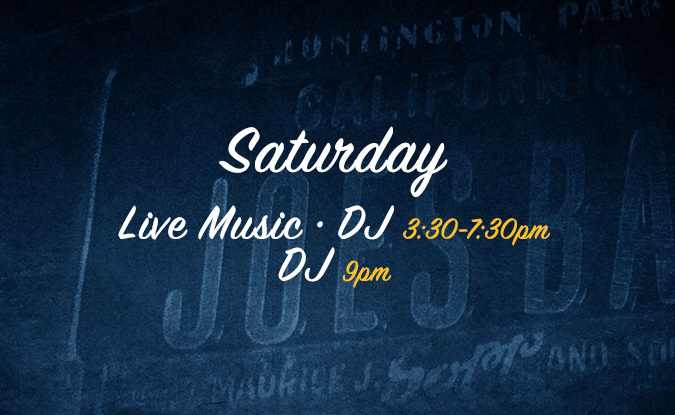 Joe’s is famous for Sunday Funday on our patio with live music, but the fun doesn’t stop there. 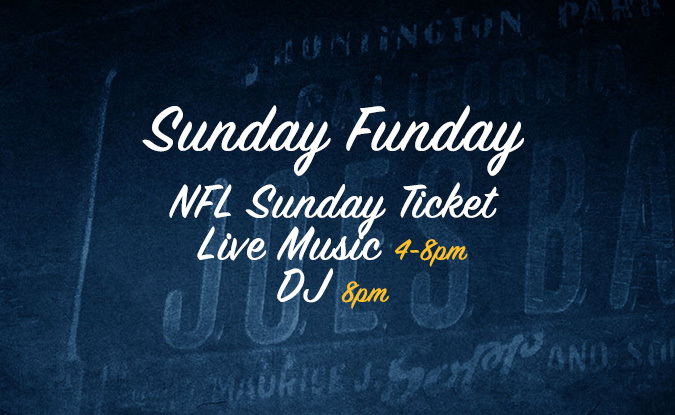 Enjoy DJ’s throughout the week, free Bingo every Thursday and NFL TV so you never miss a game. 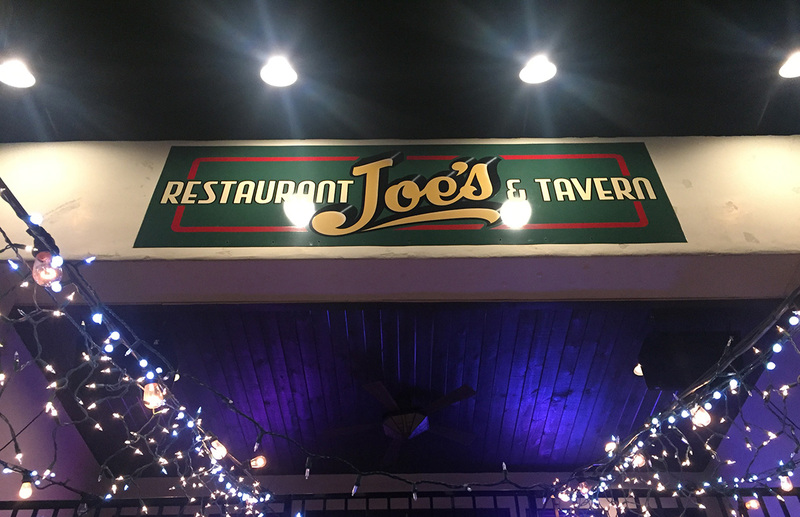 Enjoy our unique menu that only Joe’s has to offer. 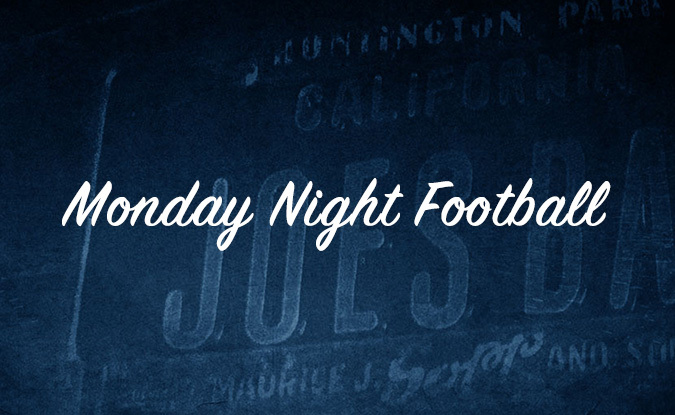 From grilled mahi mahi to delicious flatbread pizzas, Joe’s has something for everyone! Experience our wide variety of gourmet sausages!. 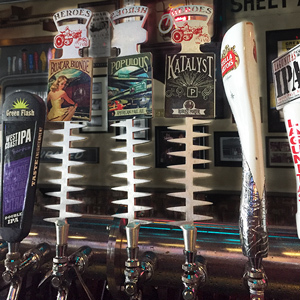 Sip on a wide variety of cold, draft beer or enjoy one of our delicious cocktails that’s sure to brighten up your. Need a kick start? Try one of our tasty shots. 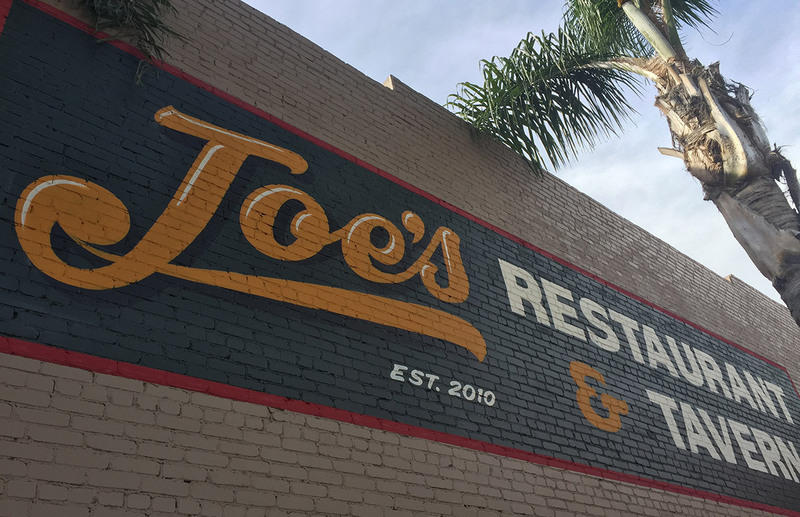 Joe’s is located in the SoCo District right in the heart of beautiful Downtown Fullerton. 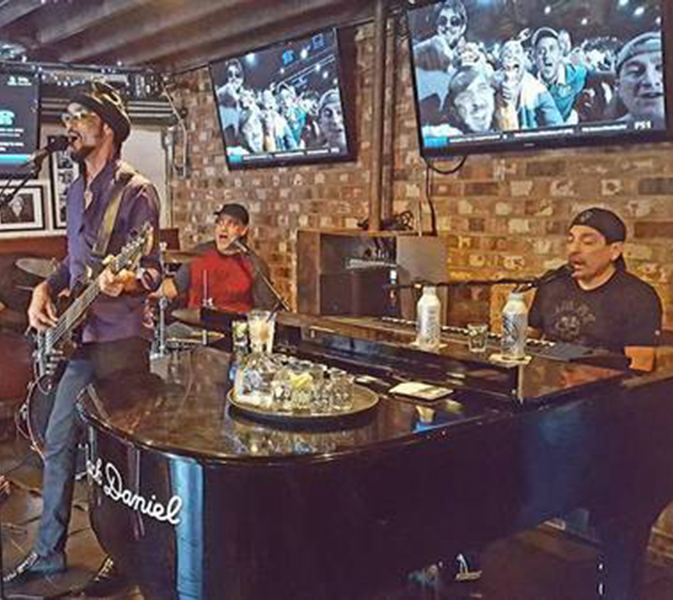 It’s hard to resist the rustic, oldtown atmosphere surrounded by historic buildings, unique shops, specialty restaurants, and art and music venues to feed the soul. 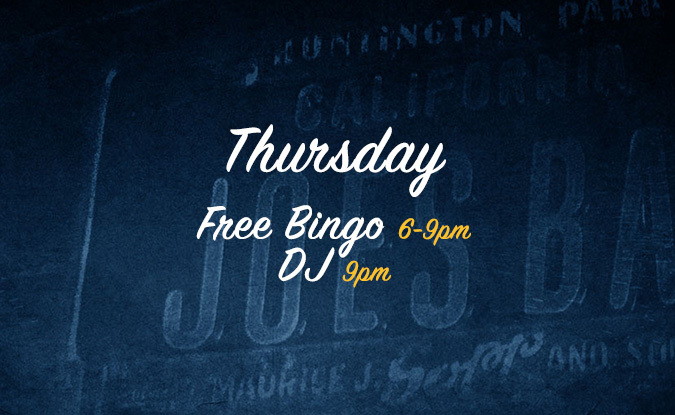 For more than two years Joe’s has been hosting free bingo every Thursday night. 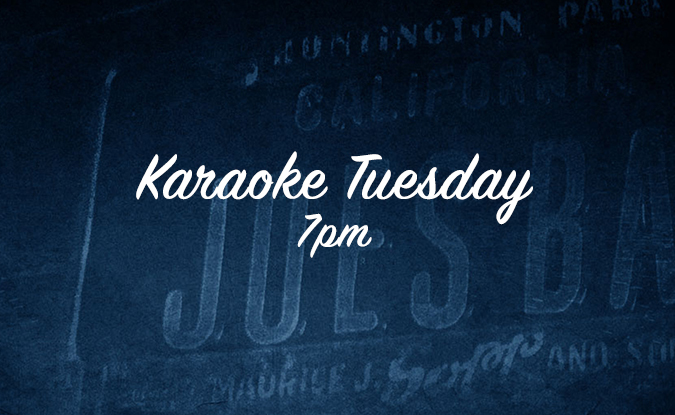 Come out and joy a fun-filled night of laughs, friends, awesome prizes and good times!